It was a week into a trip through Patagonia, that wild region at the tip of South America, when I peeled the T-shirt off my back. It’d been there for days straight, a true second skin as I trekked, climbed, and paddled in an endurance race through wilderness so deep you carried everything in a pack and never changed clothes. 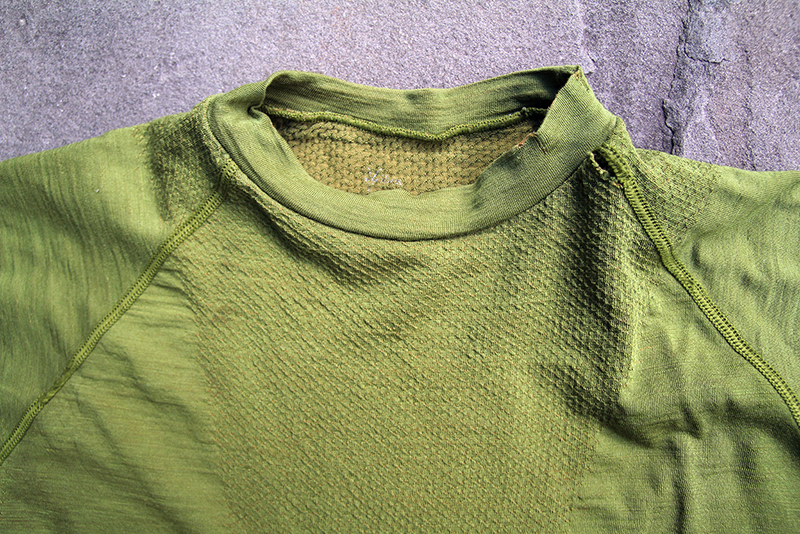 The same shirt, now a faded green with small holes and snags, remains a go-to piece in my wardrobe. Over the years, from the 2010 expedition in Patagonia onward, the shirt has seen hundreds of days of wear. 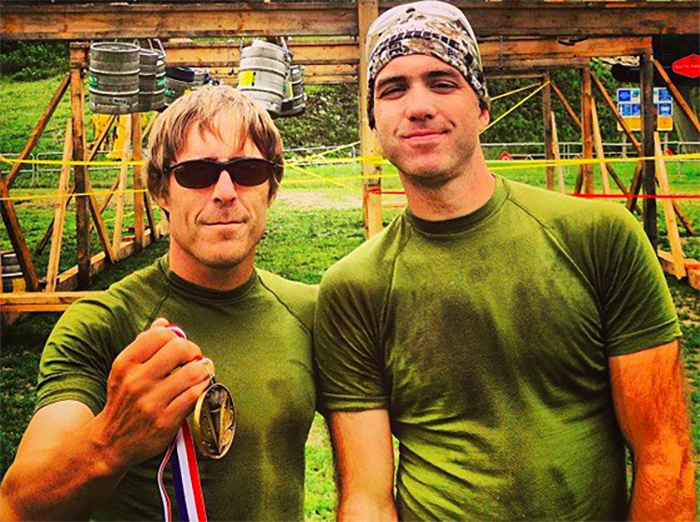 It’s still a valid top that I put on for backpacking trips and lunchtime training runs alike. Ibex, a Vermont company, is the manufacturer. The shirt is called the Balance T, and unfortunately Ibex discontinued the design in 2013. The secret is in the shirt’s material, a blend of nylon and merino wool. The synthetic fibers give it stretch and strength, and the wool offers a material that’s comfortable in a range of temperatures. It also does not stink like a regular shirt. Wool is naturally anti-microbial. This was a good thing in Patagonia, my expedition-mates would tell you as much. But even at home today I often wear the shirt a few times for workouts before it goes into the laundry, drying it on a line in the sun in between. I wear the piece alone in warm months and as a base layer when it’s cold outside. It fits tight but comfortably for any activity. It does not chafe. The shirt also does not wick sweat — it soaks it in. This may seem like a negative point, but after years of doing aerobic things outdoors I’ve given up trying to find a shirt that can handle the sweat generated by high-heart-rate activities. Instead, wool regulates your body temp, even if it’s soaking wet with water or sweat. 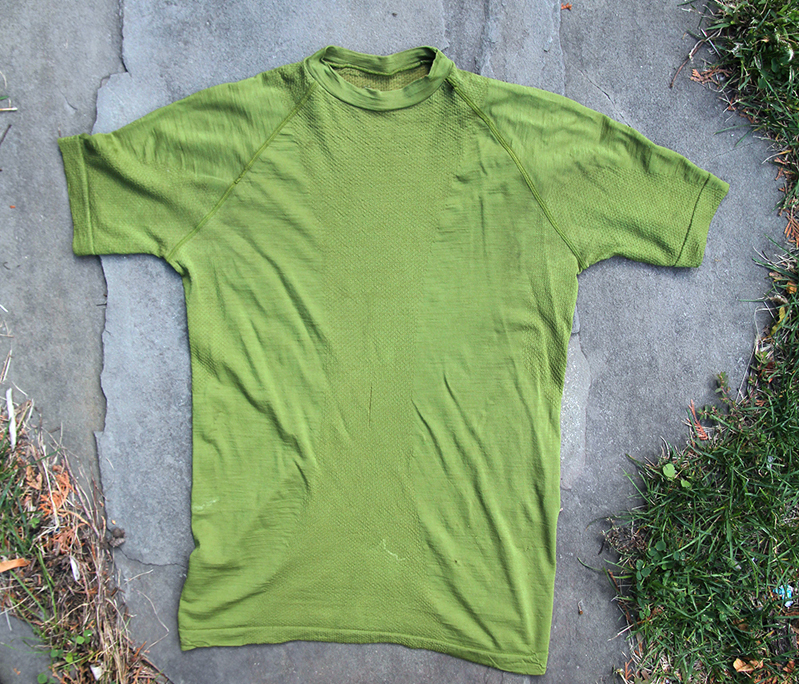 On hot days the saturated shirt helps keep you cooler, but if you sweat when it’s cold outside the fabric sticks to your skin, melding on and taking a temperature in sync with your natural epidermal environment. The wool in this Ibex shirt comes from New Zealand, and it’s a super-fine 17.5-micron blend. The shirt is seamless throughout the body thanks to the fine needles on specialized Italian knitting machines. They are used to create a fabric that changes structure without hard stops — the chest area on the Balance T, for example, fades from a lighter, smoother texture on the edge of the trunk, and the underarm material is unique from the shoulders. This all equals a tight but “body-mapped” fit that I love. The shirt just sits right on my frame and is mostly unnoticeable, no matter what I am doing outdoors. Originally, the Balance T retailed for $75. That sounds pricey, but given its durability you got more than your money’s worth. Pick up a Balance T or something similar if you can find it. The top will get you to Patagonia and back, and much further from there in the years ahead.